This was a presentation and a paper given at a 2008 ISPSO Annual Meeting in Philadelphia. An enterprise is made up of a number of systems of practice within which its work is organized, whether the enterprise is public or private, virtual or not, or for profit or not. Such an enterprise faces a double challenge in the way it elaborates its systems of practice: this challenge places it between what it knows how to do, and the demands made on it by turbulent environments that take it beyond what it knows. A case study of a large system, the US wildland fire service, is used to exemplify these ideas, and the implications for considering the kinds of leadership that are needed to meet this challenge. Motivation is defined as that which emerges where there are gaps in the ability of the enterprise to do what it needs to survive and prosper, that is gaps in its systems of practice. These gaps are understood as ‘driving’ the enterprise, and show themselves as dilemmas that are symptomatic of these gaps. The double challenge presented by these dilemmas are relate to vertical and horizontal kinds of leadership. This double challenge provides a way of understanding both the competitive pressures on the organization, and the way the individual experiences those pressures. And it is the horizontal axis and the relationship of the person in an edge role to authorization that makes the difference. We can summarize this difference in terms of different approaches to leadership. 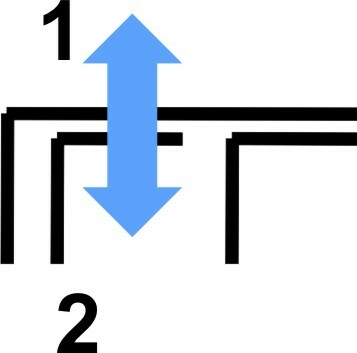 In “Bipartite Leadership” we have leadership organized around the vertical “authority” axis. This leadership involves both the leaders at the top of the organization, and those working within the organization, whether its professionals or its organized labor. 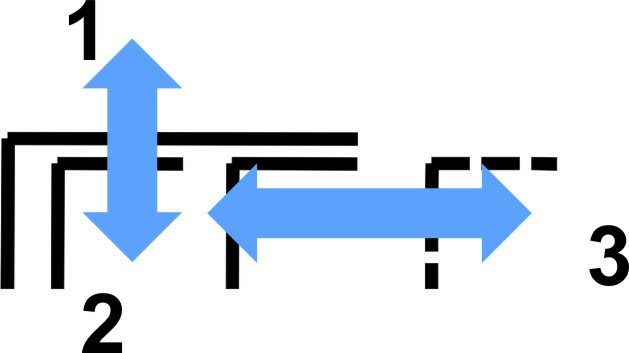 The leadership comes from the way the tension between these two perspectives are held (‘1’ and ‘2’ below). It is a tension because while the ‘top’ must concern itself with the direction of the organization as a whole, it is the professionals/unions who are dealing ‘bottom-up’ with the impossibilities embedded amongst the organization’s systems of practice. When we introduce the horizontal “authorization” axis however, we introduce “Tripartite Leadership”. This is the ‘edge-driven’ axis presenting the interests of customers that the organization is seeking to respond to individually within the context of their lives, for example doctors’ patients, or service engineers’ clients (‘3’ below). Armstrong, D. (2007) “The Dynamics of Lateral Relations in Changing Organizations Worlds”, Organisational & Social Dynamics 7(2) 193-210. The format of the dilemma is explained in the blog on dilemmas as drivers of change. Previous PostRequisite AgilityNext PostThe Double Challenge: working through the tension between meaning and motivation in a large system Author: Boxer, P.J.